Twelve years to the day since Ireland announced their arrival on the world stage, they will play their second Test match. 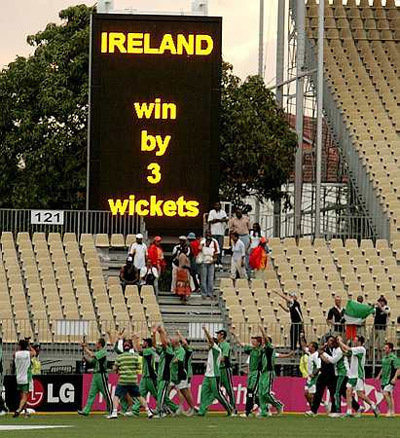 It was St Patrick's Day 2007 when Ireland beat then world No 4 Pakistan in only their second ever World Cup match in Jamaica and it was confirmed yesterday that March 17, 2019 will be the start of the five-day Test against Afghanistan in Dehradun, northern India. Ireland put up a memorable show before losing their inaugural Test against Pakistan in Malahide on the final day, just 11 months after being elevated to ICC Full Membership and Test status. After a 10-month wait, William Porterfield's side will finally play their second Test, the last game of a nine-match tour, across all three formats. The teams, who are well known to each other having played 24 times in the last 28 months, will clash first in three Twenty20 internationals, followed by five one-day internationals and then, after a four-day break, will go straight into Test match action. Ireland are also scheduled to play three T20s in Oman before flying on to India but that is now a Quadrangular tournament, involving the hosts, Scotland and Netherlands, so Cricket Ireland are waiting further details before confirming their participation. ODIs: March 2, 4, 7, 9, 12.